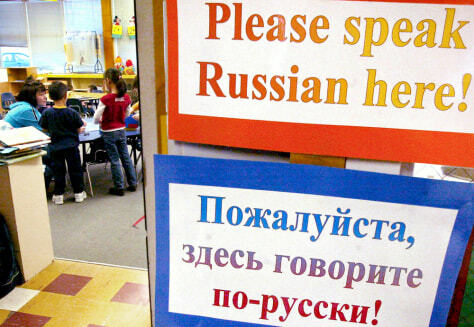 Motto for Alaskan school: Russian spoken here! The entrance to Marina Hunter's kindergarten class at Turnagain Elementary School in Anchorage, Alaska, is bilingual. Inside, however, students are expected to learn in Russian only.